Australia’s Tritium has secured minority investment from Fortive Corporation’s Gilbarco Veeder-Root to advance the roll-out of its DC fast charging hardware solutions. Gilbarco Veeder-Root is a supplier of fuel dispensers, point of sale systems, payment systems, forecourt merchandising and support services, and the investment will enable Tritium to target fuel stations and other key markets. Gilbarco Veeder-Root will sell all Tritium solutions, including Veefil-PK high power charging (HPC) systems. 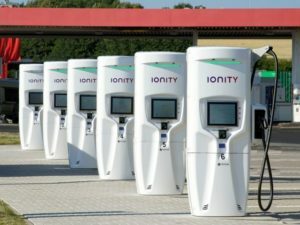 The investment will also enable Tritium to accelerate its expansion into Europe and the US; the business launched its first DC fast charger in 2014 and currently has installations in 26 countries around the world. Other activities include expanding production capacity to meet increased demand for the company’s Veefil-PK up to 475kW High Power Charging Systems, and new product research and development. Tritium will also look to expand into India, China and the wider Asian region in the medium term. Fortive senior vice president Martin Gafinowitz said the partnership with Tritium would help expand the Gilbarco Veeder-Root business portfolio to address progressive customer needs. “This investment provides early and judicious entry into a market with a growing need for rapid charging, which is one of the top barriers to EV purchase,” he added.